WASHINGTON — Montana Republican Greg Gianforte was sworn into the House Wednesday as the newest member of Congress, a month after he body-slammed a reporter who had questioned him about the GOP health care bill. Gianforte, 56, won a May 25 special election to serve the remaining 18 months in the House term vacated by now-Interior Secretary Ryan Zinke. Gianforte, who already has filed for re-election, was to take the oath of office by House Speaker Paul Ryan, R-Wis.
Gianforte said his main priority is to make sure Montanans' voices are heard, and he pledged to "protect our Montana way of life from federal overreach and bring accountability to Washington." With Gianforte officially joining the House, Republicans have 239 members to 193 for Democrats. Three seats are vacant although the elections have been held. The winners will be sworn in later. "I can't erase it, but I did do everything in my power once the event was over to take responsibility," he said. 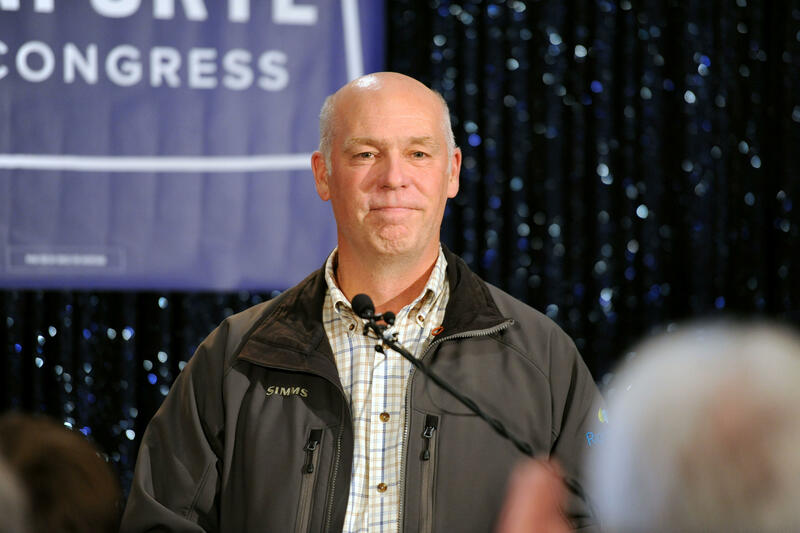 Members of Congress have an obligation to ratchet down the vitriol in politics, especially after last week's shooting of House Majority Whip Steve Scalise during a Republican congressional baseball practice, Gianforte said. The shooter had volunteered for Bernie Sanders' Democratic presidential campaign and expressed grievances online about President Donald Trump and Republicans. "I believe that good things can come out of bad," Gianforte said. "It's important to make sure we reach out to all parties and hear their voice. I think the other parties have an obligation, as well, to be respectful and in that dialogue." In a statement Wednesday, Jacobs said he welcomed Gianforte to Capitol Hill, "where I'm confident he will live up to his pledge to champion a free press and the First Amendment. In the courtroom last week, he openly offered to do an interview with me when he came to Washington and I look forward to taking him up on that in the coming days."